Most people do not get to experience what Darrick gets to experience on a daily basis. If you own a pet, it is most likely a household animal, but Darrick had the fortune of being friends with a herd of elephants. 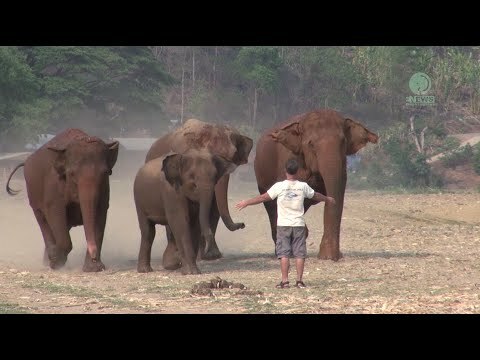 Darrick has built a close relationship with these elephants and accept him as one of them. Watch him as he yells across an open field and they come running towards him and give him a heartwarming greeting.